Although it hardly seems possible, my initial view of Ron’s Original was posted in November 2012… But very little has changed in the interim. 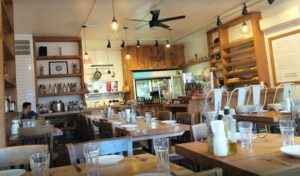 Tucked away in a mini strip mall, it continues to resemble the usual version of your local happy-tappy serving up the usual assortment of nondescript pub grub to the usual less-than-discerning indigenous clientele. Well… not quite. Check out the restaurant’s website… Their soups are made from fresh stocks that are by-products of their slow roasted meats and chicken… Their meats are antibiotic and hormone free… Their burgers are fresh ground certified Angus and never frozen… Their salmon filets are fresh cut by the chef; their mussels and calamari are fresh ice-packed, not frozen… Their turkey breasts are freshly baked on the premises from fresh, hormone-free fowl; their bacon is nitrite free… Produce is delivered 5 days a week, and all salads are made with fresh-cut lettuce; and the mixed greens are hand-washed, dried, and mixed by the kitchen staff; vegetables are all cut fresh and cooked to order… In addition, the menu lists the items that are gluten free, hormone/antibiotic free, spicy, vegetarian, clean eating, and/or made from scratch. Not exactly the culinary résumé of your average local happy-tappy… But the fact that a restaurant offers its patrons healthy cuisine is only part of the equation. Even the best of organic and/or local comestibles can be poorly prepared and sloppily presented. Fortunately, however, not only is Ron’s food good for you, but it is pleasing to the palate and the eye as well. Taking a gander at the rather extensive menu, it may seem as if the kitchen’s reach has exceeded its grasp. One cannot help but think that it would be difficult (if not impossible) for an eatery to do so many things well. But, on second glance, the bill of fare is not quite as gargantuan as it at first appears. Any restaurant, however humble or upscale, invariably does certain things better than others. And this is true of Ron’s as well. 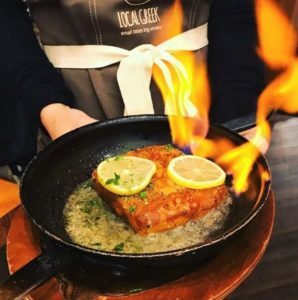 But the key, in my opinion, is that this restaurant knows its focus, its limitations, and its clientele… and, therefore, continues to do a first-rate job across the board. 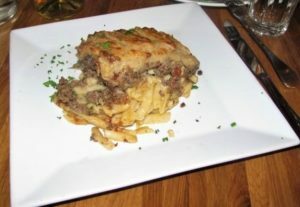 A lion’s share of Ron’s menu, of course, is given over to the kitchen’s superb interpretation of so-called “pub grub.” But the restaurant also offers patrons a select variety of entrées, including a number of traditional Italian favorites. 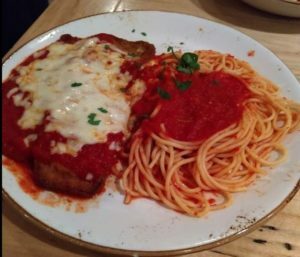 My recently sampled Eggplant Parmesan, for example, was tender yet firm to the bite, smothered in melted cheese, and sided with al dente spaghetti kissed by a rich marinara. 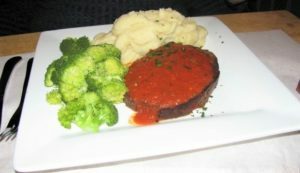 Even better, however, was my dining partner’s homey Black Angus Italian Meatloaf (pictured) topped with house-made marinara sauce and companioned by a mound of luscious garlic mashed potatoes and perfectly cooked broccoli florets. And don’t let dessert pass you by. 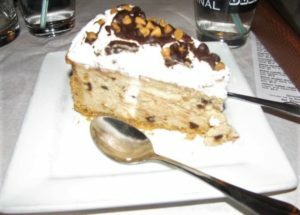 There are a number of palate-pleasing options to assuage your sweet tooth… but nothing quite measures up to the over-the-top Peanut Butter Chocolate Chip Cheesecake. More than suitable for sharing, this irresistibly rich and creamy delight is decadence personified. So, forget the calories and go for it. The restaurant contains several dining areas. But the bar (pictured above), bustling yet inviting, is the most comfortable seat in the house. 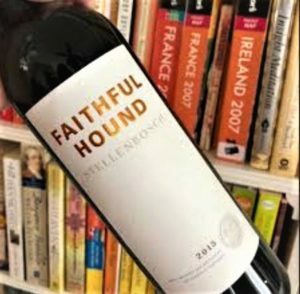 Even if there’s a waiting list for the dining rooms, which is not at all unusual, you can almost always squeeze in at the bar; either at the bar proper or at one of the high-top tables. 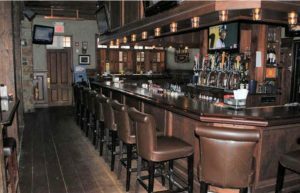 Here you’ll find a diverse, friendly crowd, equally friendly bartenders, and a bevy of TV screens to keep the hometown fans happy. 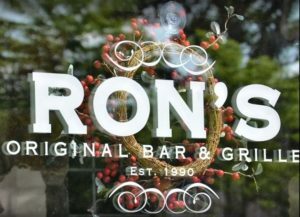 If you’re on the prowl for well-prepared casual fare that utilizes top-notch ingredients and won’t break the bank, Ron’s Original Bar & Grill is highly recommended for both lunch and dinner. 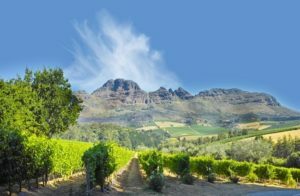 On Thursday, May 9, 2019, 7:00 p.m., La Fava Restaurant & Bar, 1102 Baltimore Pike, #101, Glen Mills, Pennsylvania, will host a special six-course dinner paired with the wines of the Piedmont region of Italy. 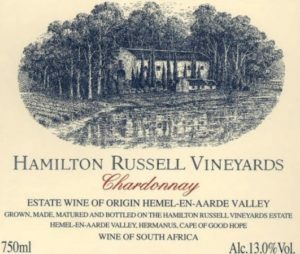 The special guest speaker of the evening will be Hudson Austin of The Wine Merchant, King of Prussia, PA. 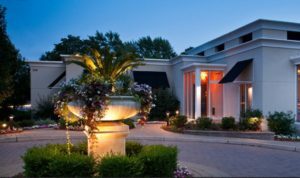 The price of the Wines of Piedmont Wine Dinner is $99.00 per person (plus tax & gratuity). For more information, or to make reservations, please call La Fava, (484) 840-8603. 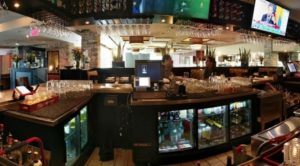 Tucked away in the Malvern Shopping Center, Anthony’s is a popular BYOB majoring in Italian comfort food. “Just how popular?” you may ask. 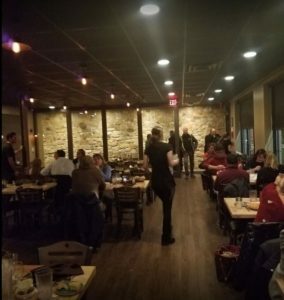 Well, since the restaurant does not accept reservations, even on a normally quiet weekday evening, the wait for a table could very easily be 20 to 30 minutes… longer on weekends. Don’t say I didn’t warn you. And there are some very good reasons why the crowds keep coming: the portions are generous, the price is right, the service is friendly and knowledgeable, and the food is damn good… There’s a bit of everything here, so you’re not likely to go hungry for lack of choices. The appetizers, buttressed by such intriguing possibilities as Artichoke Casserole in beurre blanc sauce, Asiago Risotto Bites, Fig & Prosciutto Crostini, and Cheese & Charcuterie have a great deal to recommend them… But they seem almost superfluous – unless you happen to possess the appetite (and capacity) of a ravening hyena – as all entrées come with a nicely stocked breadbasket and choice of soup or salad (some entrées with pasta as well). 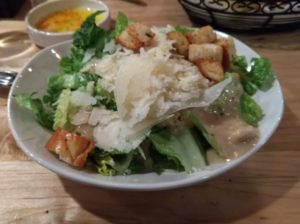 And while the house salad is on the generic side, the Caesar (pictured) is endowed with generous shavings of Pecorino Romano, delightfully crunchy croutons, and a thoroughly engaging dressing. Among the soups, the Minestrone, a menu staple, is also well worth considering. When it comes to the main courses, all the usual suspects are present and accounted for. The chicken and veal dishes, for example, may be ordered Parmigiana… Saltimbocca… Cacciatore… Marsala… or Piccata; while the seafood offers up such familiar items as Linguine and Clams, Shrimp Scampi, Grilled Salmon, and Pasta di Mare, a combo of mussels, clams, shrimp, scallops and crabmeat in a white wine marinara sauce over fettuccine. And, in addition to the classic pasta dishes, you may also create your own, choosing an individual sauce, pasta, and optional extra (meatballs, sausage, chicken, and shrimp). Among the classic pastas, the Penne alla Norma (pictured), the new kid on the menu block, is highly recommended. 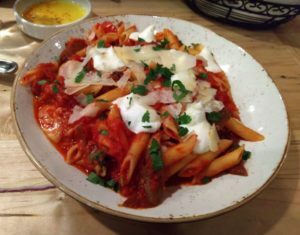 The penne – just the proper side of al dente – is accompanied by tender morsels of eggplant, tomato, garlic, and basil and crowned with dabs of ricotta and shavings of Grana Padano (a hard, slow-ripened, semi-fat cow’s-milk cheese comparable to Parmigiano Reggiano). And the rich tomato sauce is judiciously applied – the pasta is gently coated rather than drowned. A fine effort. 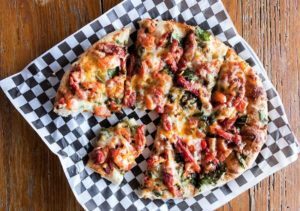 The baked dishes – items such as Manicotti, Spinach Crepes, and Baked Ziti – are also particularly noteworthy… with the mouth-watering Lasagna leading the pack. Bolognese sauce takes center stage here, with ricotta, marinara, and mozzarella in strong supporting roles. And for those who prefer to go meatless, the kitchen occasionally cooks up a knockout Vegetable Lasagna as a nightly special. Wafer-thin slices of eggplant stand in for lasagna noodles surrounded by a rich marinara sauce and topping of melted mozzarella. 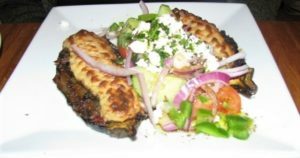 When it comes to Italian comfort food, the acid test for me has always been Eggplant Parmigiana (pictured). 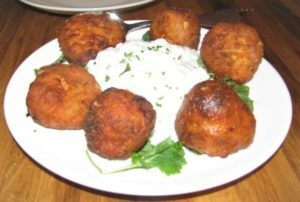 I say this because, while it is a relatively simple dish to prepare, it is also very easily mucked up… The eggplant, for instance, can be too thickly sliced, undercooked, or woefully overcooked and mushy… the breading too liberally applied and soggy… the marinara thin and watery. Well, you get the idea. Fortunately, Anthony’s kitchen is right on the money. The breading is delightfully crisp, the eggplant firm to the bite yet tender, and the marinara rich and flavorful. It may not look like much, but, trust me, it’s soul-satisfyingly good. 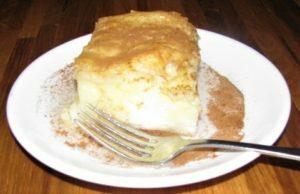 Given the portion sizes (and the inclusion of soup or salad with entrées), dessert may seem entirely superfluous… However, if you can find the room – and can afford the extra calories – I’d have a go at either the cannoli or the house-made cheesecake. Both are first-rate. One final word. If you’re in search of cutting-edge cuisine, you’ve obviously come to the wrong address. 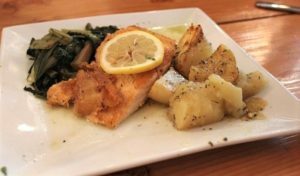 Anthony’s serves up traditional old-fashioned Italian fare designed to warm the heart as well as the stomach. Red sauce reigns! So, pull up a chair and get comfortable… Just don’t forget to BYOB. 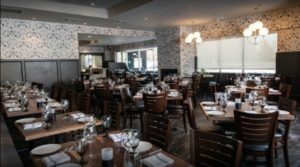 During Easter weekend, Friday, April 19 – Sunday April 21, 2019, Washington House Restaurant, 55 South Finley Avenue, Basking Ridge, New Jersey, will be serving both dinner and brunch menu specials. 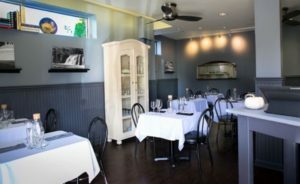 Easter Brunch Specials: Sunday, April 21, 2019, 9:00 a.m. – 2:00 p.m…. For more information, or to make reservations, please call (908) 766-7610.